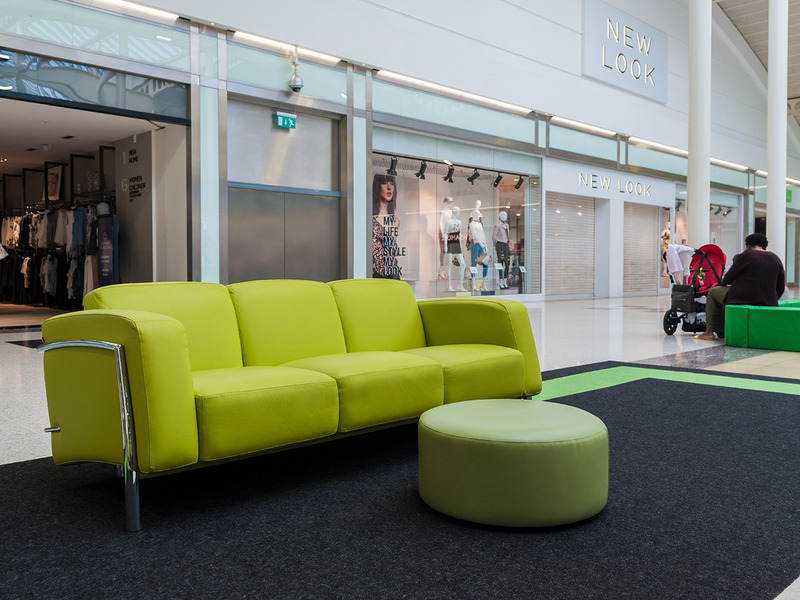 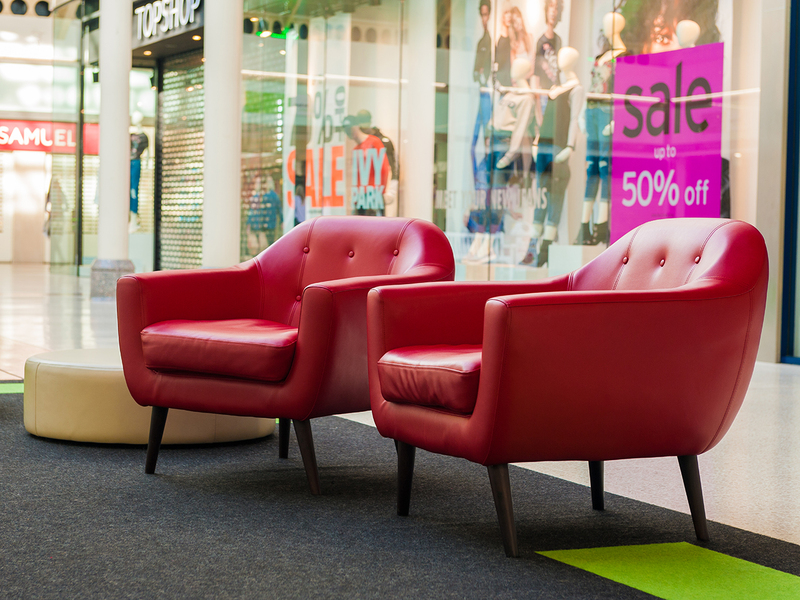 Aylesbury's noted shopping centre contacted us with a distinctly different brief; colourful soft seating, but with a large bespoke rug incorporating the company's logo as the centrepiece. 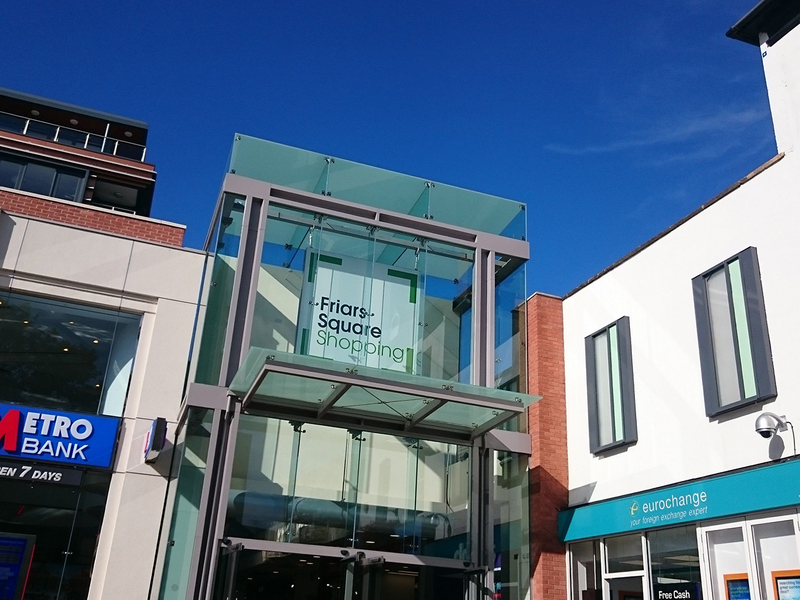 At JB Commercial our portfolio is founded on projects that have extended us beyond our usual parameters and we therefore rose to the challenge given to us by 'Friars' Square Shopping Centre'. 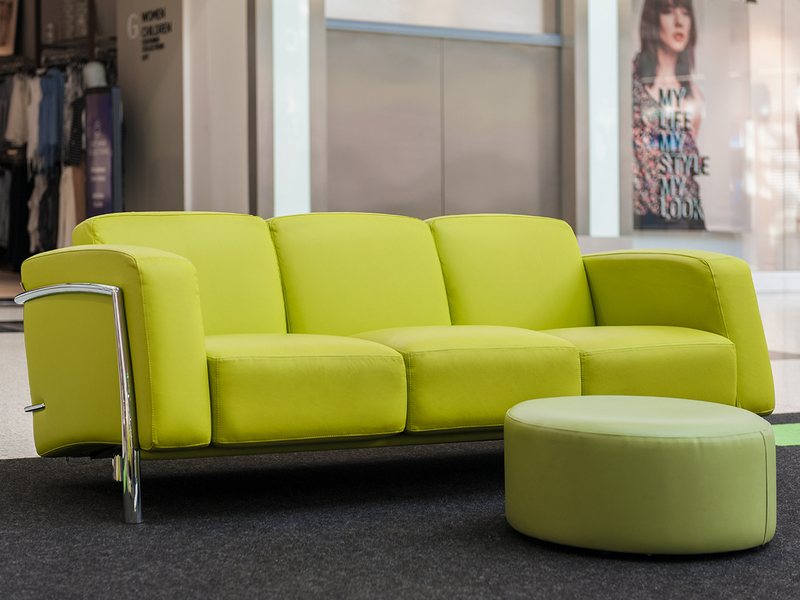 Alongside the striking Dot range - designed to offer comfort and style to informal spaces - we used the striking Berlin sofas and the sleek Arturo tub chairs. 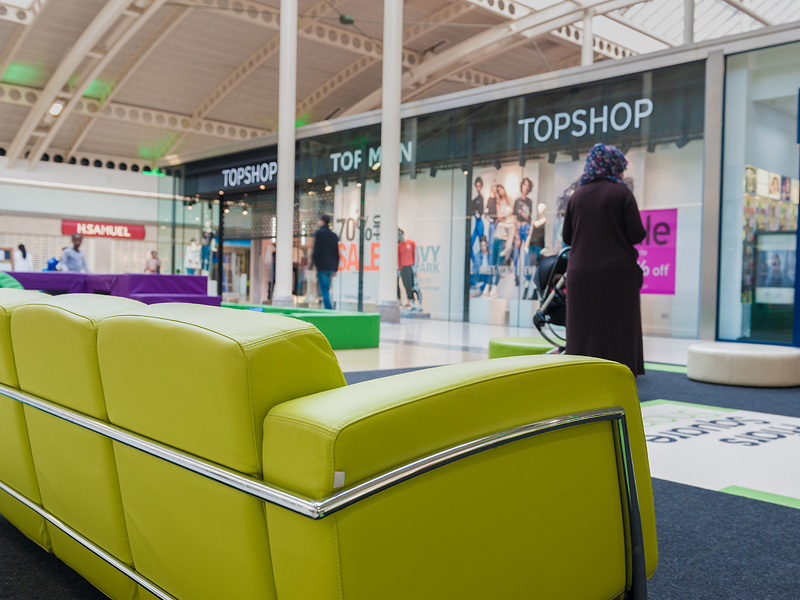 This turned the open spaces afforded us into a mixture of bright and breezy seating areas for visitors and more formal zones; for those tired from a full day's shopping. 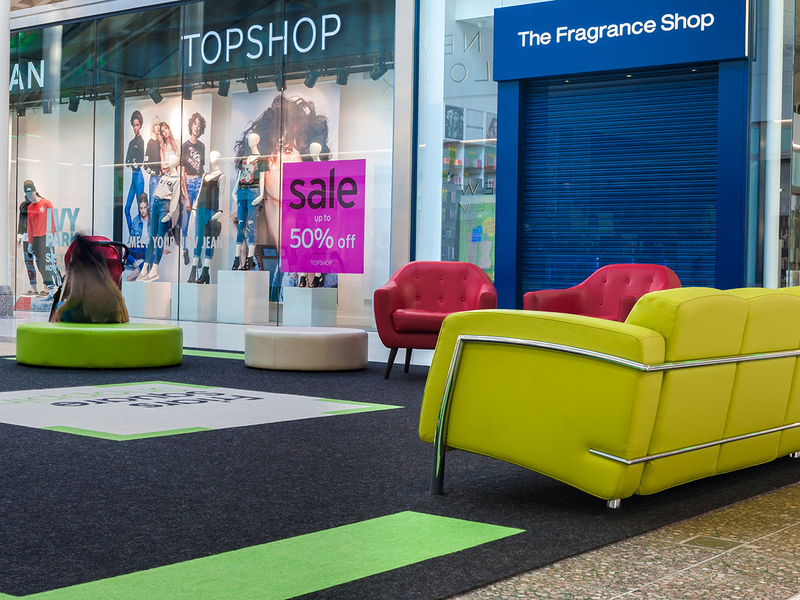 The pièce de résistance was the 7 metre square rug, made especially for Friar's Square. 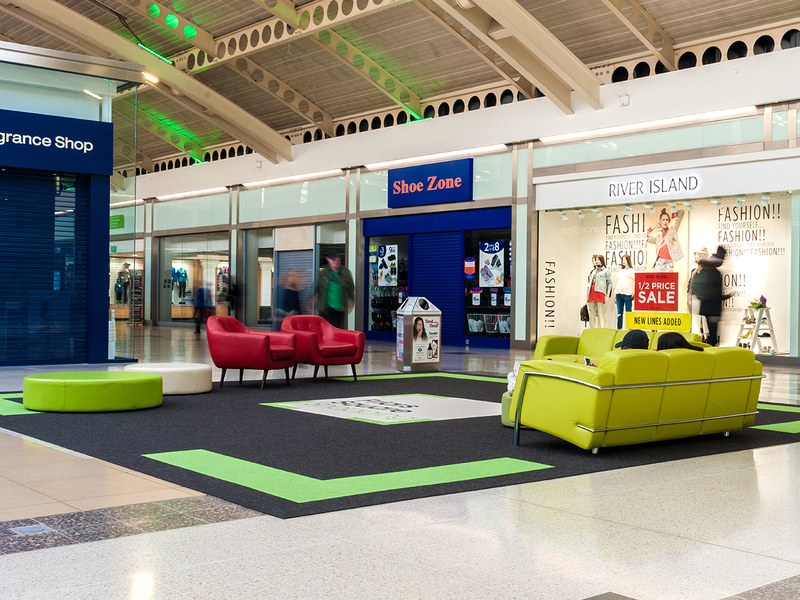 This show-stopping piece was an item that JB Commercial were especially proud of, lending a real sense of individuality to the upmarket shopping centre.